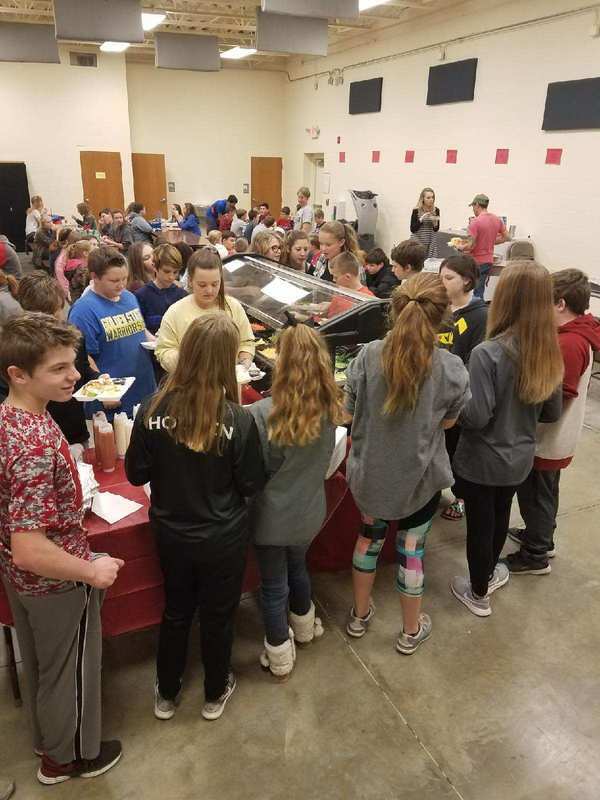 For the first time ever, On Wednesday, November 29th, Glenwood middle school students and faculty enjoyed a new meal option initiated by first-year Principal, Denny Melvin. 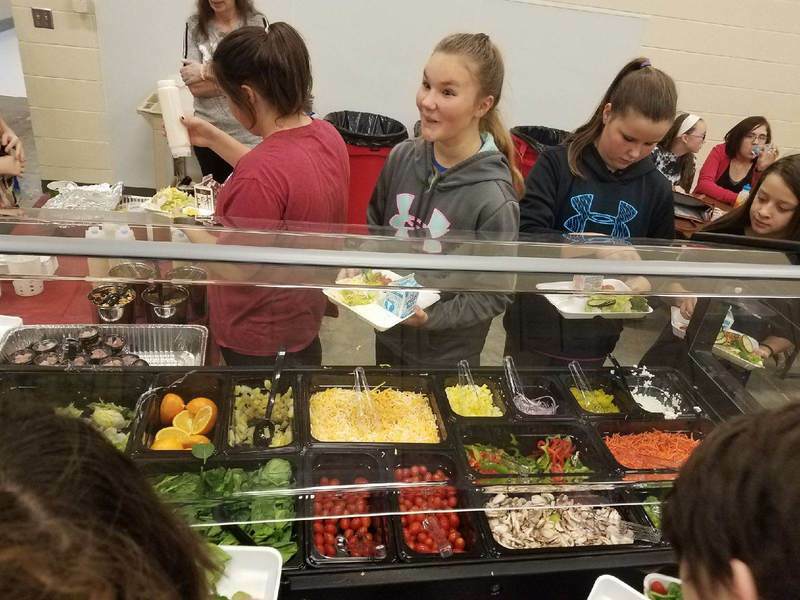 Middle school students and faculty now have the option of choosing either a hot meal or a trip to our fully stocked salad bar, as shown in the photos! 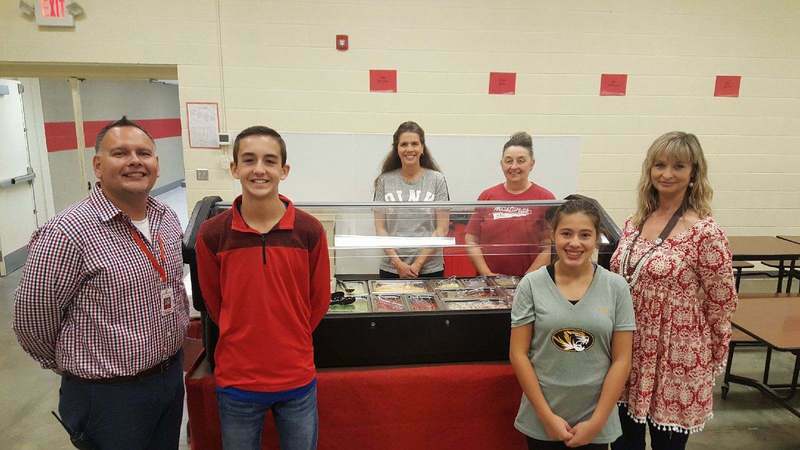 L to R: Principal, Denny Melvin, 8th grader Aiden Brigman, assistant cook, Anita Wright, head cook Joyce Von Allmen, 8th grader Andrea Rivera, and receptionist Stephanie Cundall! 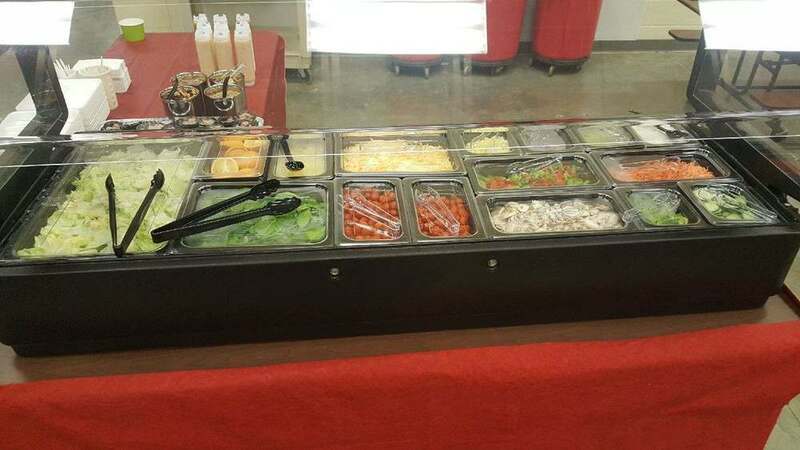 Principal, Melvin reported overhearing a student say, "Now, this is something to be proud of!"